Random Projects | The conglomeration of projects that i find myself doing. The conglomeration of projects that i find myself doing. 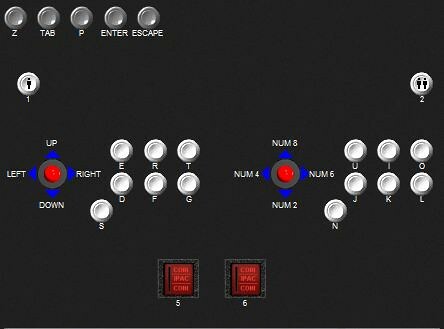 I just finished a job building a few control panels for a customer. In the design phase he wanted a large radius along the front of the panel. 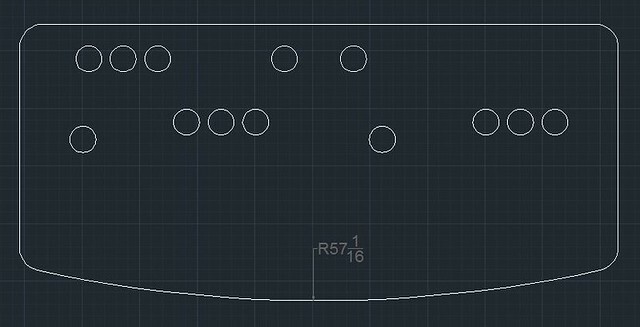 I drew the panel up in AutoCAD and the result was exactly what he wanted. I picked up a pair of Ultimarc’s Ultrastik 360’s. They’re quite nice but I really didn’t like the existing ball top, or the selection of options that Ultimarc had to offer. Fortunately I noticed in one post on BYOAC by Paradise Arcade that their Seimtsu 6mm ball tops do in fact fit on the U360. I picked up a pair of ball tops from Paradise Arcade (purchased 2 pair, but only one pair showed up, hopefully that gets fixed), a green bubble top and a violet bubble top. For all you out there wondering, they fit perfectly and look wonderful. Update: Just gave Paradise Arcade Shop a call and the mistake was corrected and my two missing ball tops were sent out immediately. Great customer service. Thanks Susan! In order to determine where all of the controls go, I can look around online and check what everyone else did. That’s great and all, but I want to make sure it feels right before i start cutting into my $50 sheets of plywood. 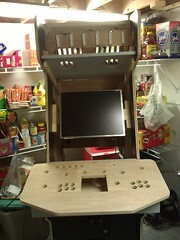 I know that each player will have a joystick and 6 buttons. 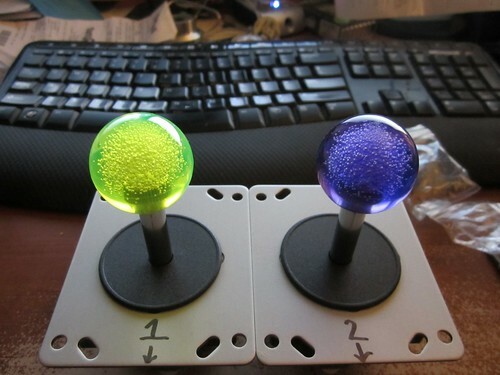 You need the 6 buttons if you ever plan on playing the fighting games. I was never good at them back in the 90’s, but I guess I can at least be bad at them for free now. Here’s my set of screens from WinIPAC. It’s a wonderful program that’s given away free from Ultimarc. It makes programming the I-PAC extremely simple. Everything is drag and drop. Select the button you want to program and then hit the appropriate key on the keyboard. No need to put the trackball, trackball buttons or spinners on here since they’re all connected via usb to the computer and don’t need mapping done. Took a bit of a break there…. 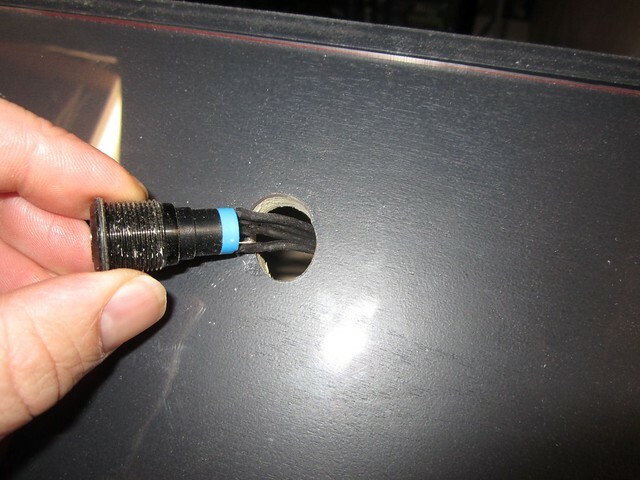 In a previous post I shows how to yank apart a monitor, just leaving the parts that we need for an easy, solid installation. Now it’s time to mount the monitor in the cabinet.